Think it sounds simple? Think again. Try out Six! 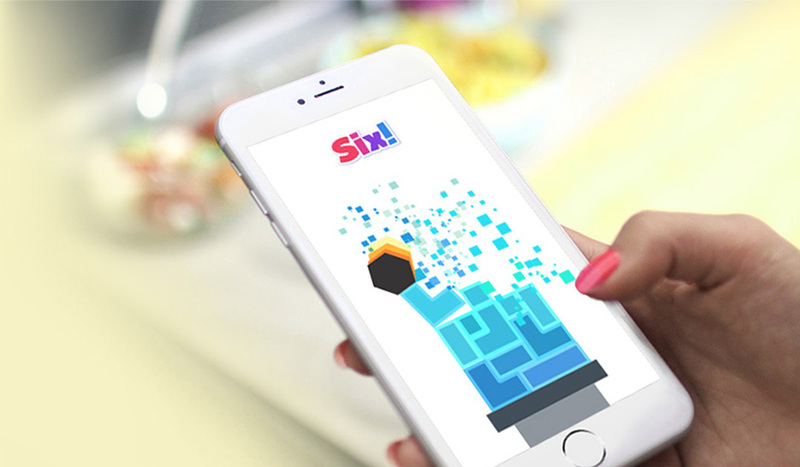 In the summer of 2016, Gram released its newest mobile puzzle game, Six!. The interface is entirely different from Gram’s past titles, relying on a moving piece and a stack of blocks, rather than a board. The objective of the game is simple: move the game piece, a hexagon, down the screen by tapping the blocks below it to destroy them. However, here’s where it gets tricky: tap the wrong blocks, and the hexagon can get thrown off balance. If the shape wobbles to far right or left, it will fall off the tower of blocks, and that’s game over. But keep the shape balanced, and moving down the screen, and you can get a high score to share with your friends. Think it sounds simple? Think again. Try out Six!.